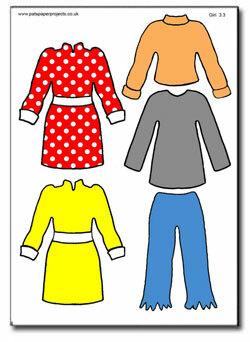 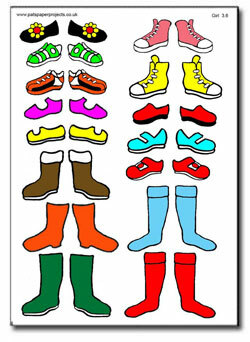 This multi-choice project has a choice of two girl figures as well as seven A4 pages, of clothes in colour, cut out the clothes and glue on the girl. 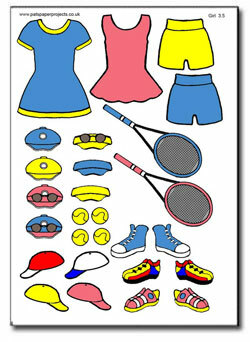 If re-stickable glue is used, the clothes can be easily removed and changed. 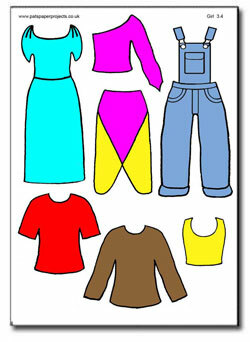 This project can also be used as a basis for free standing figures. 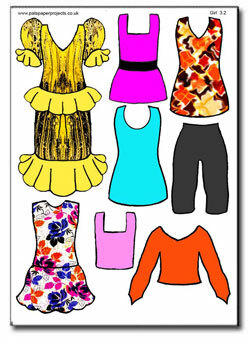 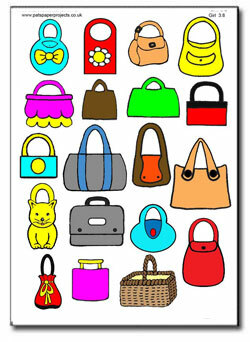 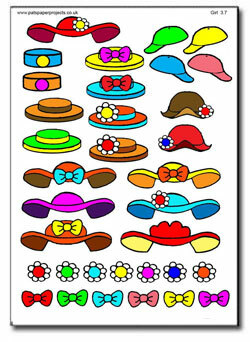 Click on any of the thumbnails below to download and print a page in colour.